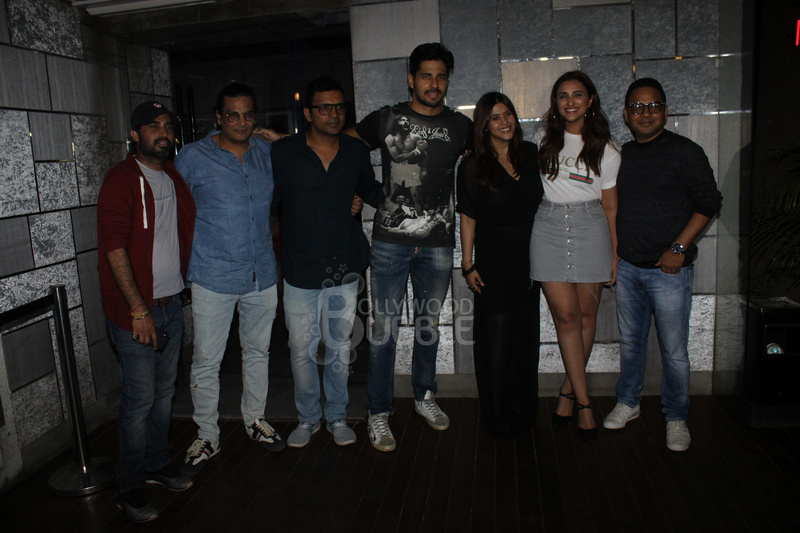 Yesterday, Parineeti Chopra and Sidharth Malhotra wrapped up the shoot of their upcoming movie 'Jabariya Jodi' with a grand party. The 'Jabariya Jodi' seemed to have a blast at the bash. 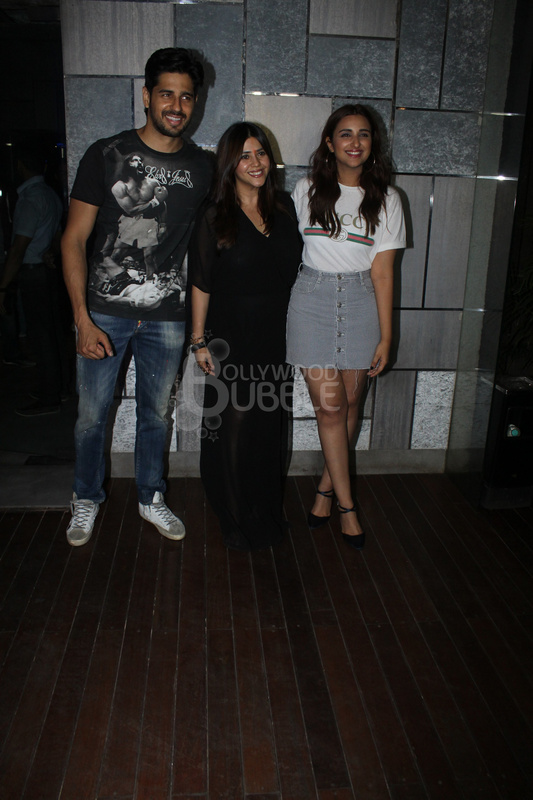 Parineeti and Sidharth were seen posing with the producer of the movie - Ekta Kapoor. Sidharth and Parineeti struck a pose with the entire team of 'Jabariya Jodi'. 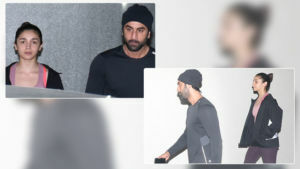 Sidharth was seen in a black t-shirt with blue denim and a pair of white sneakers. Pari donned a white Gucci t-shirt and grey and white mini skirt. She completed her look with a pair of black heels.